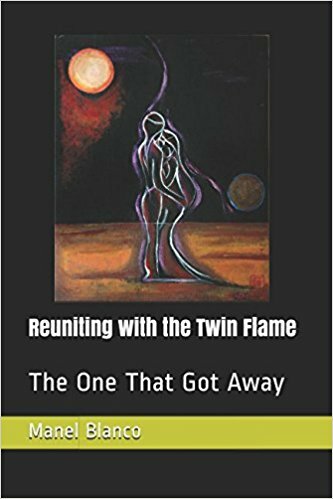 Twin flames can propel each other in opposites directions for the rest of their lives within minutes; moving from a stage in which they have it all, to having nothing. Separation clearly indicates that shadow work might have been overlooked. In fact, shadow work never ends, but as a couple persist, hold on to love and work on themselves and on getting to understand each other, life gets much easier, and so does the relationship. Shadow work makes both people in the relationship stronger. It builds character, strength and allows a deeper understanding of the self, as well as of the loved one. Avoiding shadow work by choosing personal comfort and running away from the relationship creates the opposite effect. A distinct sense of weakness enters the journey, and from then on, the journey is up the hill. There´s much to say about how running away affects future relationships. Avoiding shadow work or to admit to a new personal truth is surely the fastest way to lose the love and respect of your twin flame. 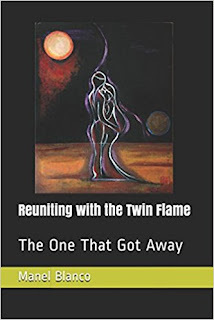 If there´s a relationship in which two people might want to invest time and energy in shadow work, that is that one that involves twin flames. But who wants to put themselves through the excruciating pain that brings along when life is ´Days of Wine and Roses´? What a great film! There is no place to escape to when dealing with your twin flame. They sense and know the answers to any questions/issues before one gives an answer. This element in the twin flame relationship can be daunting, but also an incredibly useful tool to accomplish personal growth. As one continues developing and finding renewed strength, the relationship builds on a different energy; the yet unknown energy of your higher self that allows to create magical worlds. One of the difficulties in all relationships, not only the ones formed by twin flames is that shadow work begins from day one. The fact that the twin flame is an identical mirror which sees and reflects every shadow about you is debilitating. This part of the process must not be confused with neither weakness of character, nor depression. It´s simply the process of separation from the old self towards the new self. It takes time to shed the old skin to grow a new one. At this point a new journey within begins. The foundations of personal truth are shaken up in such violent manner that one is constantly pushed towards the abyss of a new truth. Someone might not be ready to take the leap of faith towards a self-knowledge, or it could be as simple as not being aware of how the process works. It´s normal to feel hesitant, to doubt which way to go, so tempting to hold on to a lie one has know from the beginning of their existence and remain loyal to the vibration of ego. Sometimes the window of opportunity to embrace a new truth is a matter of seconds. There might not be another chance after that. Recognising a new personal truth, so as to separate from what no longer serves us is the easy part in a twin flame relationship. There´s no confusion about it. It resonates differently to every emotion experienced previously. An eloquent silence follows when it is presented for the first time. It is an unmistakable moment, and one that when faced and dealt with correctly offers an incredible opportunity to become a better person. Admitting to a new truth does not make one a liar if up to that point one has been unaware of such a burden. What one learns and are taught from an early age cannot be blame on them. However, once he or she becomes aware of a new truth, it's their responsibility to accept it and change it. It´s time for courage. Courage is that one eloquent silence. How we take on it determines who we are from that moment on. Facing a new truth presents us with a new emotion, often overwhelming. Feel it for as long as you need to and wait patiently to meet the new you. You won´t regret it. 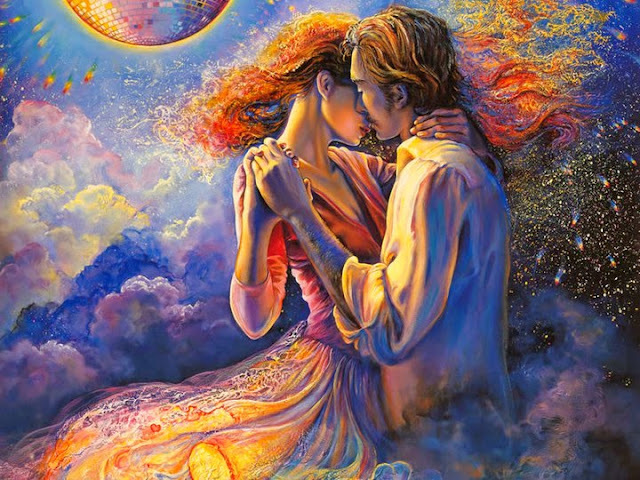 If you´re in a twin flame relationship or suspect that you´re in one, feelings and emotions might drive you crazy, as it´s possible that you no longer recognise yourself. Do not give up. Talk about it and keep loving. Discuss your new truth with your partner, so as to make the journey more comfortable. A twin flame is also a best friend. There´s a chance that they´ll understand and help you to go along with this new feeling. Take into consideration that it could take weeks, even months to adapt to a new personal truth. The response to feelings and emotions could be excruciating. Hold on to love, move towards loving and healthy practices and continue having fun. Shadow work doesn't mean that one has to be be in pain and suffering throughout. Let yourself rest and seek activities that bring you back to life. After all, you´re in what it could be the most beautiful relationship of your life. However intense it is, hold on to it. Give in and surrender to new truths. There´s a beautiful light at the end of the tunnel; and that light just happens to be you. It´s worth the intensity, the pain, the suffering and the waiting.